Hartford, Connecticut is a great place to fall in love. It is a city with many architectural beauties to explore, a lot of culture, and some great sports teams to watch. If you visit in the Fall, even the trees put on a show. Explore what makes Hartford a great romantic city to share memories with your sweetheart. “Unwind, relax and take pleasure in the beauty and comfort of our public spaces. Delight in the gorgeous 19th century touches that make visitors feel as if they’ve stepped into another time, while still enjoying all the comforts of today.” This beautifully restored Victorian bed and breakfast is a great place to choose to stay for a romantic getaway. It is just outside of Hartford, but worth the slight trip out of the city. 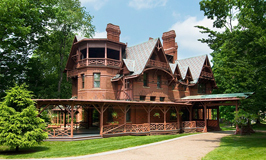 Hartford is where Mark Twain and his wife had their home built. Touring the house with a heart and soul is a great idea for things to do on your weekend getaway. The home is beautiful and reflects all the love and hard work the couple poured into designing the home. This home was where Mark Twain had his most productive years. Come experience the inspiring environment with your love. “Always ahead of the cultural curve, Connecticut is home to amazing art galleries, award-winning theaters, unique museums and modern architectural marvels” and Hartford is not an exception to that. 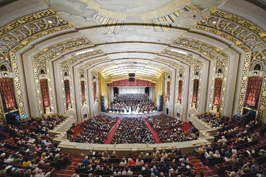 There are many places to see a show or a concert, two of note are The Bushnell and TheaterWorks. Hartford also has a few museums of note like the Wadsworth Atheneum Museum of Art and the Connecticut Science Center. 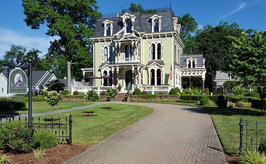 Hartford is also home to a few house museums and many architectural sights to see. 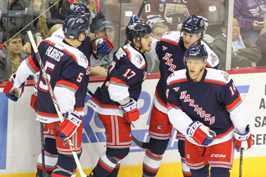 There are two places to be to be able to catch a game with your sweetheart in Hartford Connecticut. The XLCenter which is home to the AHL team the Hartford Wolf Pack and also host to the University of Connecticut basketball team the Huskies. The Dunkin’ Donuts park is a great place to see a minor league game of baseball played by the Hartford Yard Goats. When the teams aren’t playing, the XLCenter is also used to have concerts and shows, so if you miss a game there is still something to share with your sweetheart.